It’s 2017. Virtual reality lets you feel what it’s like to fall from the sky, Drone regulation is a serious topic, Full(er) House has returned after 21 years, and chances are you know about and understand digital signage. We’re entering the golden era of digital signage and companies worldwide have embraced this more-than-a-trend. Retail establishments, restaurants, healthcare providers, higher education institutes, and more have transitioned to digital signage. The industry is growing incredibly fast. If you haven’t yet made the leap, what better time than now? You’ve discovered the value digital signage can bring to your organization, have content and creative being pumped out by a printer, and understand the ROI in advertising. You’re ready to unleash your creative into the digital display world, and here are six reasons why you need to make the switch to free cloud-based digital signage this year. 1. 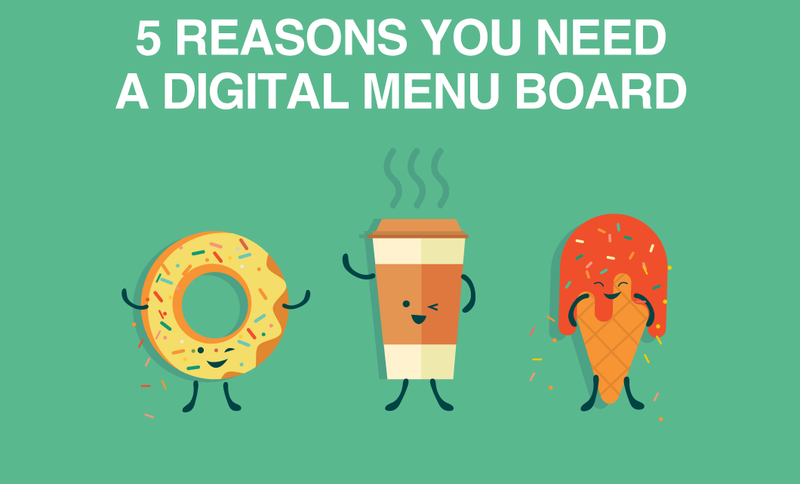 You still have time to be seen as cutting edge by implementing digital signage. Every industry already has a player in the digital signage game, but there’s room for improvement and still a lot of room to impress. Digital signage comes in all shapes and sizes — the hardware is really up to you. There’s no need to be overwhelmed or too nervous to start when there’s so much guidance and support to help you. Using a free digital signage software solution allows you to go as big or small as you need to. Donor walls are inspiring staff, faculty, and students to get interactive, educational institutes are displaying financial data in an exciting and digestible manner, and others are making impressive use of space with a multi-display setup that really catches the eye. You can design interactive content, create gamification, or simply implement wayfinding in a really sophisticated way. Take a look at our gallery to get inspired and learn more about the various ways free digital signage software can transform your space. 2. The most beautiful digital displays are created through free digital signage software. Digital signage replaces a lot of less appealing old school static monitor and TV images, posters, and bulletin boards. We can all do better, right? Digital signage software means doing more with design. Signage — both digital and traditional — is used to advertise products and services, present information, entertain customers, and more. All these communications goals can get complicated, hard to communicate, and just plain ugly if we’re talking whiteboards, bulletin boards, poster boards, and any other kind of boards. Digital signage software is flexible, allowing you to communicate your message with your target audience when and where they need it. Free open source digital signage software is adaptable to your needs and lets you tell people where to go, where to find you online, when important events are happening and more in a clean and presentable way. The best digital displays drive word of mouth about your company and services because they share offers and promotions, drive urgency, and help your customers even when they don’t expect it. 3. Tell your story and sell smarter with a free open source digital signage software solution. Digital signage is captivating. When was the last time a poster on a bulletin board grabbed your attention? There’s nothing more disappointing than spending a ton of time and resources creating something that no one sees — not to mention a complete waste of money. Your signage, created using free digital signage software, can and will hold your customer’s attention. It will draw interest from potential new customers, too. Digital displays can often be seen from a distance, as well. How noticeable was your last whiteboard message from the back of the room? Size is not a limitation when you use digital signage software to broadcast your message to your audiences. Choose your own TVs or monitors and take advantage of high-trafficked areas like your university’s hallways, a waiting room, or anywhere a lineup is likely to form. Want a single large customizable digital display? Prefer multi-display? The installation is up to you and you can get really creative with this and do exciting things. We all know content is king, but the ways in which content is being used to market your products, communicate your values, and connect with your audiences are changing. Traditional sales methods are often inefficient — they’re one-dimensional, promote one-way communication, and lack the transparency and authenticity today’s audiences want and need. Customers want to hear stories. Telling your story is easy when you’re able to use free open source digital signage software to customize your message. 4. Connect with your customers and build a community around your brand. The best brands sell more than products or services — they sell ideas, stories, values, beliefs, purpose, a sense of community and belonging. Just look at Dove. Backing their products is a rallying message of body positivity and self-worth. But how did they attract and grow such a big, strong community? There are a lot of marketing and advertising dollars behind the crafting of this message and development of this movement, but they had to start somewhere — and you have to start somewhere, too. A community is a group of people of any size that are brought together by anything they share, such as a movie or TV show, a social movement, or a specific period in their lives — university students is a good example. Beyond being eye-catching and visually appealing, digital signage is emotional. With the content creativity free open source digital signage software allows, you have a natural extension of the digital experiences your customers are used to. Do you use social media channels to promote your services and talk about your brand? Maybe you pour hours into compelling content for your email newsletters. You may even throw events, speak with your customers on the phone, and spend your evenings meeting new people and collecting leads at networking events. You are connecting with your community in meaningful ways every day — in a way not translatable to a piece of poster board on a wall or vinyl letters on a sign outside of your office. Take that momentum behind your marketing expertise and ensure you’re applying that impactful experience to your digital signage as well. 5. Reallocate your old signage budget and discover cost savings company-wide. Speaking of marketing and advertising… This post isn’t about spending those big corporate dollars. 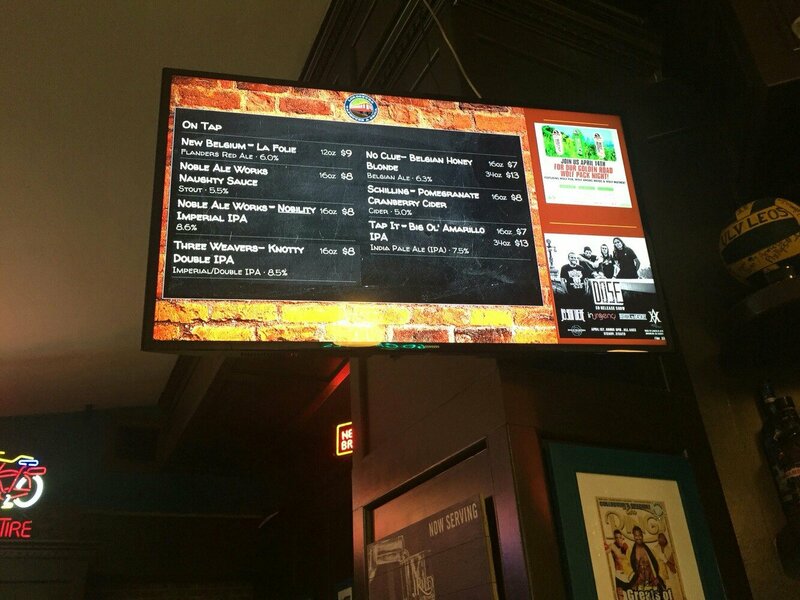 Unlike endless printing of marketing and promotional materials, digital signage is scalable. The hardware is up to you (though we have some recommendations), and you can go as big as your budget allows. But the real creativity happens in the software that powers your displays, and yes, free cloud-based digital signage software exists. A free cloud-based digital signage software solution also allows you to properly invest in design. Your digital displays let you market your products and ideas and tell your stories more creatively than ever before, so a digital content strategy is worth your time and money. 6. Use free cloud-based digital signage software to promote team collaboration and efficiency. 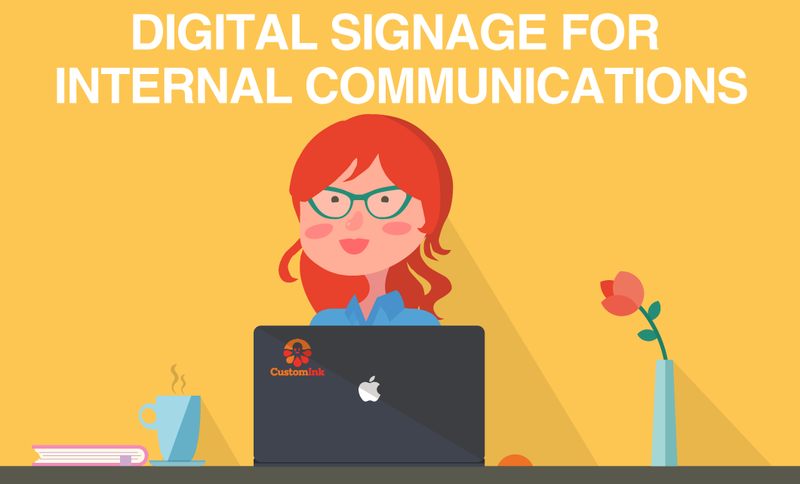 Digital signage can promote inter-office collaboration, as well. It’s often necessary to work with IT on hardware decisions and installation, but to create the most impactful digital content, you’ll want to include marketing and advertising, communications, sales, and of course web and design. Connect with your public relations team and show off those headlines you made! Your social media strategist is already writing and developing creative for Facebook, Twitter, Instagram, and any other channel you’re active on — why not share content? 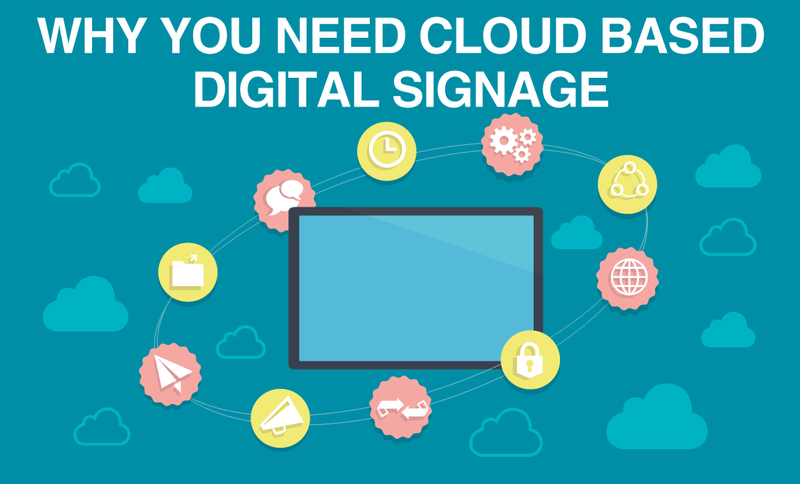 Use free cloud-based digital signage software to ensure your social media presence is displayed and advertised on your digital signage, as well. So if you didn’t complete your digital signage project last year, that’s okay! Sign up now and get started with our free open source digital signage software. It’s 2017, we can all do pretty much anything now, and you’ve got 11 months to make it the best year yet!